This Legal Notice regulates the general conditions of access and use of the website accessible at the URL https://gijononline.org (hereinafter, the website), which GijonOnline makes available to Internet users. 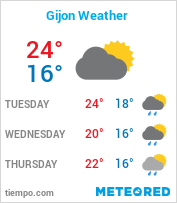 The website provides users the information and services provided by GijonOnline to those people or organizations interested in them. The language used by the owner on the website will be English. GijonOnline not responsible for the lack of knowledge or understanding of the language of the web by the user, or its consequences. GijonOnline may modify the contents without prior notice, as well as delete and change these within the web, such as the way in which they are accessed, without any justification and freely, not being responsible for the consequences that they may cause to users. It is prohibited to use the contents of the website to promote, contract or disseminate advertising or information of their own or of third parties without the authorization of GijonOnline, or send advertising or information using the services or information made available to them. users, regardless of whether the use is free or not. GijonOnline is not responsible for the reliability and speed of the hyperlinks that are incorporated into the web for the opening of others. 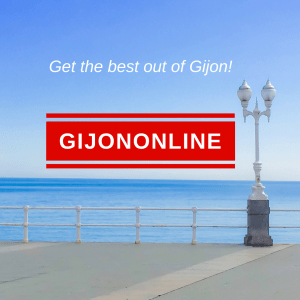 GijonOnline does not guarantee the usefulness of these links, nor is responsible for the contents or services to which the user can access through these links, or the proper functioning of these websites. GijonOnline will not be responsible for viruses or other computer programs that deteriorate or may deteriorate the computer systems or equipment of users when accessing its website or other websites that have been accessed through links on this website. GijonOnline guarantees the protection and confidentiality of personal data, of any kind provided by our client companies in accordance with the provisions of Organic Law 15/1999, of December 13, on the Protection of Personal Data. All the data provided by our client companies to GijonOnline or its staff will be included in an automated data file of a personal nature created and maintained under the responsibility of GijonOnline, essential to provide the services requested by users. The data provided will be treated according to the Regulation of Security Measures (Royal Decree 1720/2007 of December 21), in this sense GijonOnline has adopted the levels of protection that are legally required, and has installed all the technical measures at its disposal for avoid loss, misuse, alteration, unauthorized access by third parties. However, the user must be aware that security measures on the Internet are not impregnable. In case you consider it appropriate to transfer your personal data to other entities, the user will be informed of the data provided, the purpose of the file and the name and address of the transferee, so that their unequivocal consent in this regard.